Lesley Schiff is an accomplished fine artist, whose work has been featured recently in the Whitney Museum of American Art, as well as other major museums, corporate and private collections. 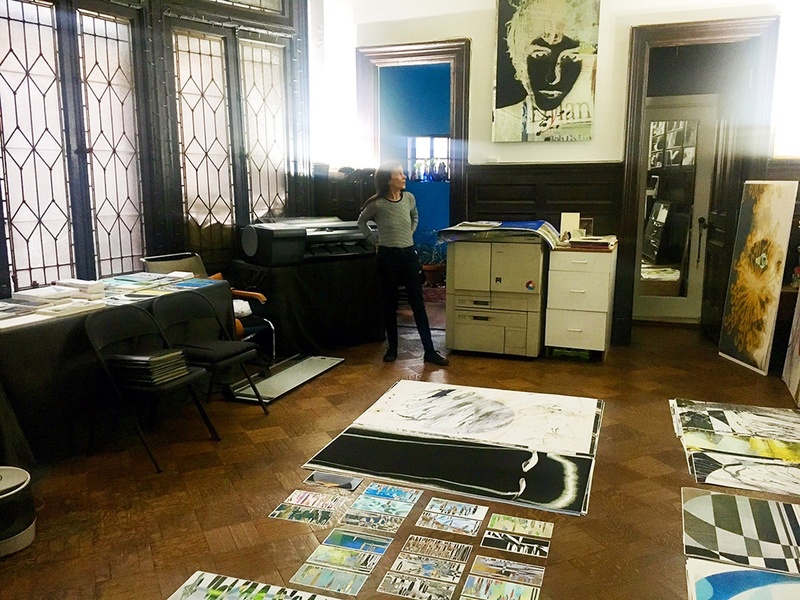 Using a color laser printer “like a paintbrush” she creates brilliant works of art that concentrate on those pre-digital technologies of the scanner and the photocopier as artist tools. Q: How many years have you been producing artwork with photocopiers? A: Since 1975, 43 years. Q: Why do you choose to use photocopiers to produce your artwork? A: At first I was intrigued by the colors. It was a more modern look because of how the technology accessed the image. Working with the color laser printer keeps you in your culture. It's like America. Plugged in. Electronic. Direct—but no matter how hi-tech my tools become, I'll always consider myself a painter, but instead of painting with oils, I'll be painting with light. I decided it was a whole new world. A different edge. Q: What is your favorite part of working with photocopiers? A: The immediacy. In less than a minute I can see if an idea is worth pursuing. Q: How has using a photocopier to produce art made your creative process easier? A: I can explore my vision in a variety of ways because of the copiers versatility and directness. Q: Do you have a favorite work of photocopier art that you have created? A: No, As an artist, i'm always hoping that the next piece will be greater. I'm always amazed when I work. The outcome is a constant surprise...i'd never get anywhere without my tools. I cherish my Canon imagePROGRAF 6400 and my Canon CLC 900. Q: Where do you see the future of art? A: The future of art is unlimited. Western art has a built-in tradition of respect for innovation and exploration. Q: Do you miss (traditional) painting? A: I don’t miss painting, because I still draw almost daily. Mainly because I am painting within the broadest terms of my tradition; taking what’s come before to another dimension by creating my own “paintbrush and paints” using the copier. Lesley Schiff’s artwork does have a painterly quality. Using real objects, deliberate lighting, and some small movements during the copying process, Schiff adds unconventional flares, distortions and highlights that give her work an exciting visual appeal. LDI Color ToolBox is your one-stop-shop for all of the industry's leading digital office technology solutions, supported and serviced by the region's best provider.